Caution: reality is about to smack you in the face. Listen to the facts, and then i'll tell you my story. In the United States, the 62 billion, yes billion, dollar beauty industry is governed by less than 2 pages of federal law. Over 80,000 chemicals have been introduced since these shockingly brief laws were passed (before World War II). It takes approximately 26 seconds for the products you put on your skin to enter your bloodstream. 85% of cancer diagnosed in the United States is NOT genetic. What does that mean? It means that it is environmental. It can come from things people use on their bodies. It can come from things we do to our bodies. Tobacco, radiation, UV rays AND your makeup can all be equally as harmful. Your cosmetics can drastically effect your health. This makes me CRINGE because I am the kinda girl that doesn't leave the house without lipstick and mascara. Who's with me? According to the National Cancer Institute, carcinogens increase your risk for cancer. Don't freak out, just because something is a carcinogen doesn't mean that you will get cancer from having contact with it! There are other factors involved like the length of time you are exposed to the carcinogen and your genetic background. Why does this matter? It matters because so many of our beauty products are full of carcinogens. I just read the ingredients on my face wash I've used for years and there are THREE carcinogens in it. What is in the products you are using every day? Since we don't have time machines, there is no better time than the present to stop covering our skin with products that have harmful ingredients. We can't control our genetics but we have all the power in the world over what we lather ourselves in and expose our bodies to. The sad reality is that when you delve into the ingredients in the items that fill your cabinets, you'll want to wash your face immediately. You don't need a PHD in chemistry to pick products that are safer for your skin and body. I have mentioned before in my blog that my precious doll of a mom, Cindy, was diagnosed with an advanced form of breast cancer almost 2 years ago. She saw countless doctors and even went to M.D. Anderson to seek medical advice. Having three children, she was seriously concerned that my siblings and I would be predisposed to cancer. She had numerous tests done to determine if her cancer was genetic. The doctors found that it was not genetic. It was caused by external factors. Her doctors told her to change her diet and her cosmetics. They recommended changing to organic shampoo, conditioner, makeup, lotion, deodorant, the whole shebang. The doctors knew that cosmetics could have played a role in her sickness. To think that surgery, chemo and radiation could be prevented by selecting safer products makes me want to scream! Why did it take cancer to make me realize that what I put on and in my body is important. Don't let it take a severe illness or even death to wake you up from your slumber. While there are many things that can contribute to a person's likelihood to get cancer, I personally, would like to reduce any activity that could lead to such a brutal disease. 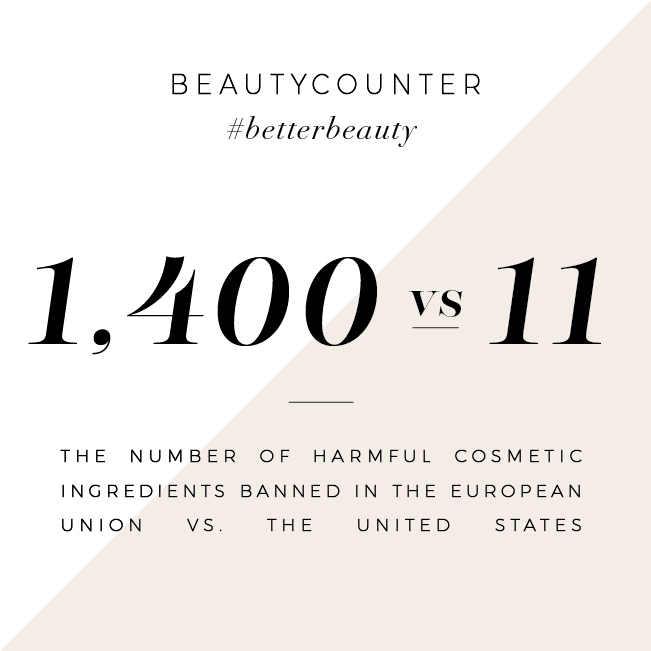 Beautycounter has banned over 1,500 chemicals and ingredients. The United States has banned only 11.....yeah idk about you but imma go with the Beautycounter on this one. Beautycounter's mission is to get safer products into the hands of everyone. Did ya hear that in the back? SAFER products, not necessarily Beautycounter products. I am here as a Beautycounter partner to educate you on ways to make better choices. If I can help one woman make a better decision for herself, her friends, her family or her children, then my job is done. 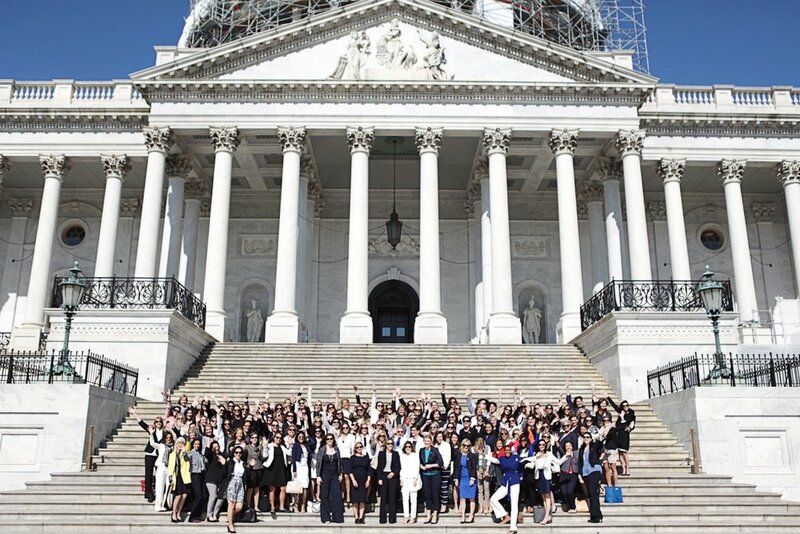 It doesn't stop there though, the amazing women with whom I work are lobbying on Capitol Hill for YOUR safety, for more legislation to be passed to protect you from the harmful items on the shelves of some of your favorite stores. We are working to change the fact that a measly 2 pages govern what companies can and can't put into products for your everyday use. It is also my job to help you solve this issue. If you want to make the switch to natural and safe products, I would love to introduce you to Beautycounter products. The switch has been gradual for me. I started replacing items in my makeup bag as I ran out, and now I rely solely on the high-performance of my Beautycounter pretties. I honestly thought I would hate the stuff. The word "natural" does not sound glam or fab when you are talking about makeup. I am a makeup gal and I was so worried that safer didn't mean better. I thought I would have to sacrifice my fun eyeshadows and lip colors for bland, boring, healthy makeup. Not the case. There are smoky eye trios, intense lip colors, statement shadows and pretty highlighters. I get it, your makeup stash takes up an entire drawer (or more) of your bathroom. Mine does too. It can be hard to weed out what is good and what's not. I have made the switch to safer beauty and I want you, the people I love, to do the same. If you aren't sure where to start, use this Never List created by Beautycounter to determine how harmful the ingredients in your favorite products are. If they have some of these ingredients in them, you should seriously consider dumping them! If you take the plunge and throw out your dangerous products and need to replenish, The Flawless in Five set is a great starting point. 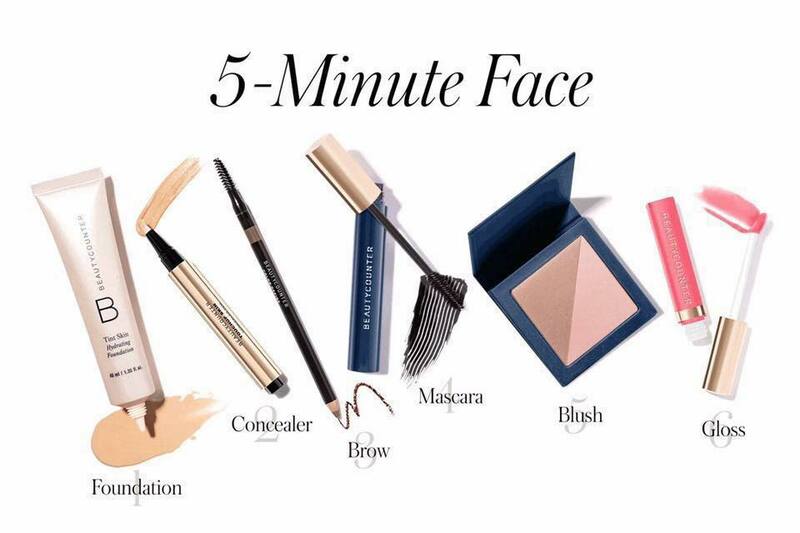 It includes all of the basics that you need for your everyday makeup routine. It is the best way to kickstart your switch! If you are shopping for Christmas and want to give the gift of safer beauty, any of these Holiday Sets will be a hit. I would personally love to help you find what you need so please reach out to me if you have any questions. It's my job to point you in the direction of safer products, or hook you up with some Beautycounter. Not to mention, I love talking makeup/fashion so I would enjoy chatting with you about all the girly things. I want to help you stay happy and healthy, and Beautycounter is one way to do it. I am so excited about this opportunity and my passion for it makes me want to share it with all of you. We only have one body and I want you to join me in loving it. 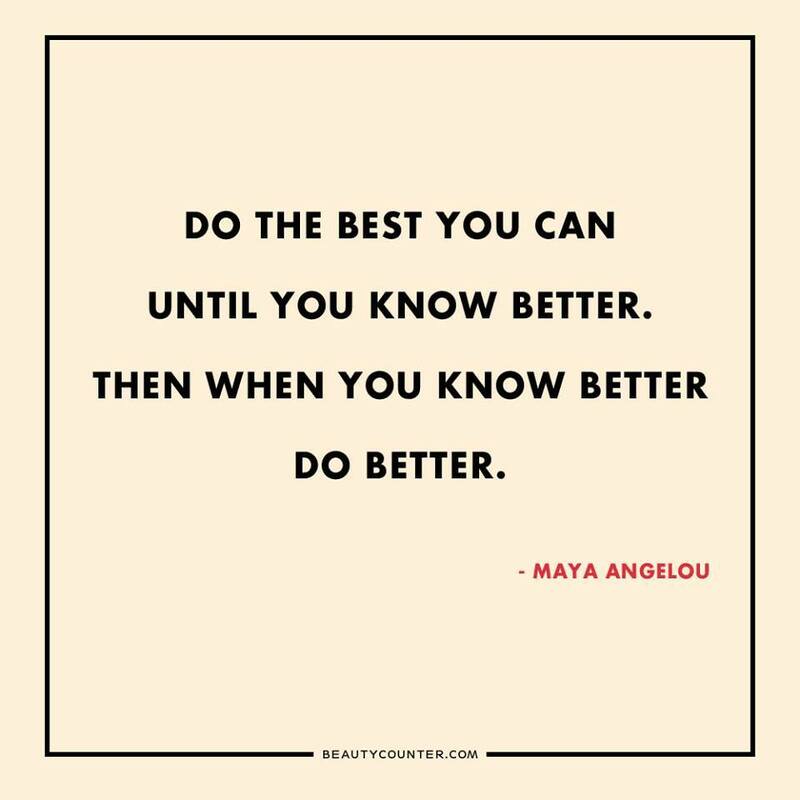 Now that you know better, will you do better? To shop all of the Beautycounter items, click here.